Personal computing devices are getting smaller. That means your digital workspace must evolve as well. Being hunched over a 13″ laptop while multi-tasking in several windows with dozens of open tabs can quickly become overwhelming. Still, most of us work this way on a daily basis. Does anyone else have an iPad or tablet lingering around and accumulating dust? Pro tip: putting your tablet to use as a primary monitor is a smart way to beat that buyer’s remorse. Using your iPad as a monitor might even enhance your productivity online in the process, too. The first thing you’ll need is a Bluetooth keyboard and mouse. Your iPad isn’t yet compatible with a Bluetooth mouse, but if you own an Android or a Microsoft tablet, you can find a decent one for any price point. We also recommend a lightweight and portable Bluetooth keyboard. If you’re using an iPad, a keyboard designed for Apple devices will come in handy because they are typically equipped with iOS shortcuts and functions that will further enhance your productivity. To recreate the desktop monitor look and feel, you’ll need an elevated iPad stand with an ideally adjustable viewing angle. The last thing you want is to be staring down at your iPad flat on a table. 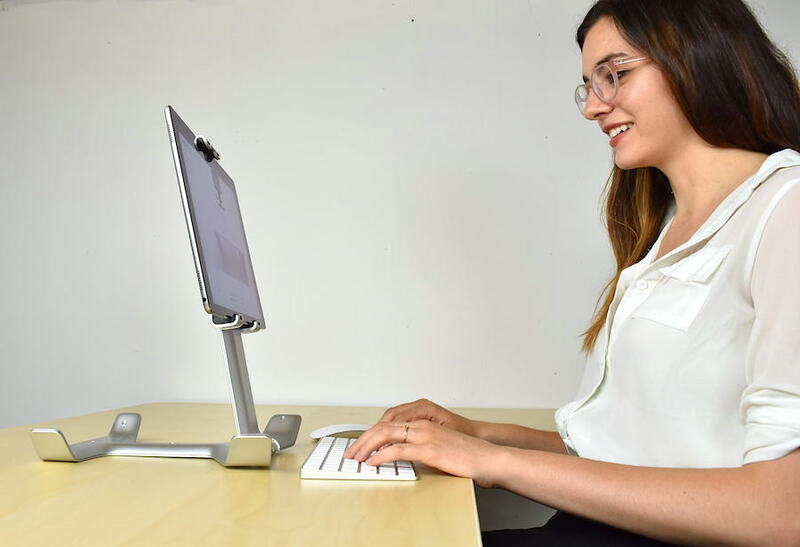 An elevated tablet stand will allow for comfortable, strain-free viewing while the adjustable viewing angle will ensure that the screen’s position can adapt to your height. For more information on using your tablet or iPad safely, check out our recent blog post on using iPads and tablets ergonomically. 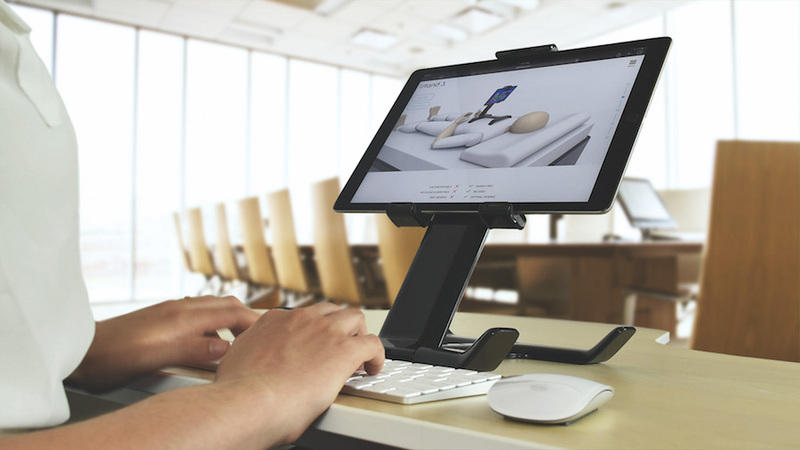 While the ultimate choice is yours, we recommend the Tstand as it meets all the requirements of the ideal iPad external monitor setup and is compatible with all Apple, Android and Microsoft tablets on the market. There are lots of extra display apps for both iOS and Android tablets that can help you setup your iPad or tablet as a second screen. We’ve recommended two apps below, however, we suggest you do some extra research to ensure that there’s not an app out there that can better suit your needs. Duet Display is an iOS app that connects your iPad’s screen to your Mac or Windows PC, creating an extra display. The app was developed by two ex Apple employees and costs about $22 in the App store. Once you’ve purchased Duet Display, you’ll need to download a second version of the app onto your Mac or PC. This will add a driver to your computer which will allow it to connect to your iPad. If you don’t have an iPad, don’t sweat. iDisplay is an equally useful extra display app that will allow you to use your tablet as a monitor. It also costs about $22 in the app store and is compatible with both iOS and Android devices. Just like Duet Display, it has to be installed on both your tablet and your computer in order for it to work. That being said, using your iPad or tablet as an external monitor is a great way to enhance your productivity while putting your tablet to full use and increasing the size of your work space. 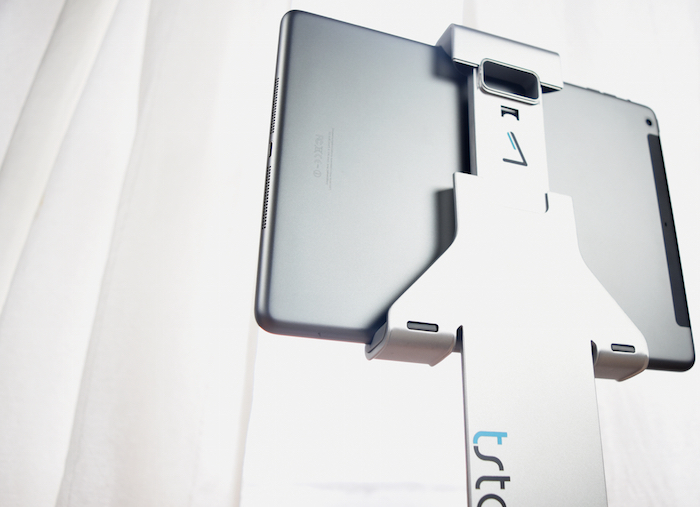 In order to use your tablet as an extra display, you’ll need an iOS or Android app in addition to an elevated tablet stand, such as Tstand. In order to use your tablet as a monitor, you’ll need a Bluetooth keyboard and mouse as well as an elevated tablet stand.